Ed Sheeran at his Divide Tour concert at FNB Stadium on Saturday, 24 March 2019. Picture: Winnie Theletsane/EWN. JOHANNESBURG – If you witnessed singer Ed Sheeran’s performance at the Global Citizen event and thought it was amazing, that was just a taste of what he can do on stage. He took over the FNB Stadium on Saturday night for the first leg of his Divide Tour and gave an electrifying performance. 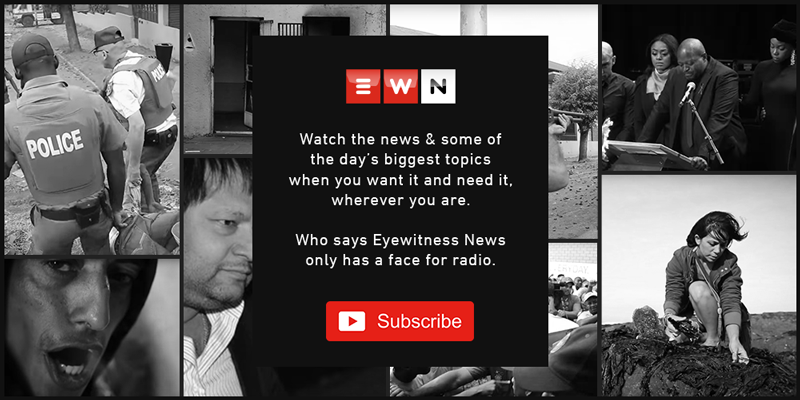 EWN Lifestyle was in attendance and here’s what you missed out on if you weren’t there; we’ll try not to spoil it for those who are yet to attend the rest of his South African show. Shortly after getting in front of the crowd and showing off his epic guitar skills, Sheeran sent a massive shout-out to those who didn’t want to be there but were in a way forced to; the men who came to support their partners and families who happen to be die-hard fans of his. The boyfriends who were dragged to the concert all in the name of love songs and the fathers who came just to make sure their families would be safe. These are the men, according to the British pop star, who have small talk in the bathroom about ‘I don’t even really like him’ and ‘How did he even ended up in Game of Thrones?’ The singer-songwriter appreciates them anyway. It doesn’t get any bigger than that. It was towards the end of the show when Sheeran put his guitar down, disappeared and the stage lights went dim. The crowd thought he was done and gone, and so they chanted ‘we want more,’ a favourite in South African concerts when the artist’s performance is that epic. But when he came back in green and yellow, Joburg fans couldn’t be happier. It was a perfect moment of their favourite artist in their national team’s regalia and the stadium was abuzz with loud screams of joy. That moment when he said he loves South Africa so much that he’d like to perform in more than just two cities. How awesome does that make the SA crowd? It seems he’d had so much fun performing in Joburg that he can’t wait to head to Cape town; and after all that, he’d like to take on other cities, including Durban. It looks like South Africa will be on the list for his next tour and it will be bigger than ever. The UK singer performed hits such as Dive, I See Fire, Photograph, Give Me Love and Galway Girl for the 65,000 packed stadium. His opening acts Shekhinah and the Passenger were also a hit on the night. While the award-winning local songstress performed hits such as Suited, Back To The Beach and Your Eyes, Passenger went for Let Her Go, I Hate and Sound of Silence to warm up the concertgoers before Sheeran took over. The UK singer will perform again at the FNB Stadium on Sunday night before taking over the Cape Town Stadium on 27 and 28 March for his #DivideTourCT where Passenger is also expected to open the show for him. Meanwhile, as promised by the organisers, there was no load shedding. Fans had raised concerns as Eskom has been implementing stage 4 load shedding for a week citing operational and infrastructure issues as the main reason. The Johannesburg Metro Police Department also came out in numbers to ensure that violence didn’t plague the event and controlled traffic in an orderly manner, ensuring easy entry and exit from the venue. All in all, it was Perfect.